Trichosporon and Candida Connection - YeastInfection.Org by Eric Bakker N.D.
Trichosporon is a yeast which, under normal circumstances, is known as a commensal in the human body. This means that it is a member of the digestive tract microflora community and does no harm to the human body. However it certain circumstances, and because it is opportunistic like candida, it can become pathogenic or damaging to its environment – which means it causes us to be ill. Up until fairly recently trichosporon was thought to comprise one species, however it has since been established that there are several species in the classification and certain ones can be specific for certain illnesses. When any illness arising from trichosporon becomes systemic, meaning that it travels through the blood to invade any part of the body, then the resulting illness is known as trichosporonosis. White piedra is the most common, and least problematic, finding when it comes to trichosporon. It is typical of this yeast overgrowth and classified as a superficial cutaneous infection where the shaft of the hair becomes infected and affects the surrounding skin. The signs of white piedra are a dandruff like substance on the scalp and around the roots of the hair. White piedra is only one disease of the skin which can be caused by trichosporon however most have similar symptoms and are relatively easy to both diagnose and treat. Although it most often appears on the scalp, the yeast can produce issues on any region of the body with accompanying skin nodules. Other issues which commonly arise due to trichosporon are digestive and respiratory tract issues. Respiratory tract are potentially difficult to detect due to the common symptom of coughing being indicative of many other illnesses. However when this is accompanied by digestive issues then the diagnosis is more easily achieved. When it comes to intestinal tract overgrowth of trichosporon often it will be found that there is accompanying Candidiasis or a previous history of the condition. Patients who are suffering from invasive trichosporonoisis are usually those who have concurrent health problems which are often associated with immunocompromised conditions. These symptoms can vary broadly depending on which organ of the body is affected. Such manifestations, due to the severity of the condition, are best diagnosed in a clinical setting. Benefits Of Swedish Bitter For Stomach Pain And Cramps? Several specific risk factors are associated with the condition and often these are similar to those of Candidiasis. Trichosporon is for example, opportunistic which means it will invade when the defenses of the body are low. This often happens when patients are already suffering from an existing illness, particularly one where the immune system is compromised either through the illness itself or drug treatments such as chemotherapy. Trichosporon also like Candida can form biofilms which add to the problems. For the uninitiated, biofilms are communities in which species of microflora can exist, and which, for several reasons, assists the survival of the inhabitants. Up until very recently it was thought that pathogens lived in isolation but the discovery of biofilms in medicine revealed that more often than not they actually live in communities which are protected by, unsurprisingly, a film. This film protects the inhabitants from attacks such as those initiated by the immune system and antibiotics. It is now thought that this is one reason why antibiotics fail to treat many infections and why they keep recurring. Additionally biofilms can live anywhere in nature and they are remarkably difficult to destroy which has resulted in the finding that they may inhabit equipment used in invasive medical procedures and subsequently infect patients who did not have a problem previously. When you get a situation where people who are sick, and are therefore likely to be suffering from a compromised immune system which can either be due to the illness or treatments such as chemotherapy, in addition to drugs which also often decrease the numbers of beneficial bacteria in the body and who normally overwhelm pathogens, then we can see why the environment is perfect for such an opportunistic bacteria. The problem of course is increased if infected equipment is introduced into the body. Other risk factors which may contribute to a trichosporon overgrowth includes the use of corticosteriods, oral contraceptives or a history of Candidiasis. The conventional drug treatment for trichosporon are antifungals both topically applied for external conditions and ingested drugs for internal digestive or invasive issues. These drugs are sometimes accompanied by antibiotics particularly when infection is suspected with skin conditions. However both have their drawbacks since antifungal drugs can be extremely aggressive and will further imbalance the beneficial gut flora as will antibiotics which are now known to be a cause of Candida. The problem also arises in that biofilms are known to react defensively to such treatments and once they have been ingested the biofilm will actually strengthen barriers against further treatments. This may result in conditions becoming worse when they recur despite the fact they appear to respond positively to initial treatment. Natural treatments tend not to produce the side effects of conventional drugs. In fact herbs such as garlic are noted for not only being antifungal in nature but they also have the ability to penetrate biofilms without stimulating the reinforcement response. This means that once natural treatments have been effective the condition is less likely to recur. Because of the similarities between trichosporon and Candida in that they are commensal yeasts, opportunistic and display the same affinity for biofilms and defensive responses both can be treated in the same way. One of the most natural ways of initiating a war against trichosporon is to deny it sugars which are its main form of food. This means all sugars including those contained in fruits and dairy products should be eliminated from the diet for at least 2 weeks. The exception to this rule is when it comes to probiotics which should be taken daily to top up the beneficial gut bacteria which enable them in assisting to overwhelm pathogens. 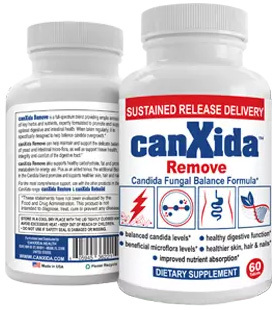 Canxida Restore contains 6 of the most notable beneficial probiotics for those who are unable to tolerate fresh products. It also has a slow time release system to give the bacteria the longest time possible in the digestive tract. Garlic is also another excellent natural antifungal which helps rid the digestive tract of excessive yeasts. Another benefit of garlic is that it has been proven it does not trigger the biofilms to build up a resistance to it as happens with contemporary medications such as antibiotics and antifungals. It can be used raw and fresh or as part of a supplement such as that contained in Canxida Remove. This product also has Black Walnut in the ingredient list which contains juglone, a compound which has also been scientifically proven to act as an effective antifungal agent. When it comes to yeast infections an important issue to remember is that some products will make the condition worse and should be avoided to speed recovery. One of these products is alcohol. Although some alcoholic products are more detrimental than others there can be no doubt that all alcohol feeds a yeast overgrowth. It has been scientifically proven in research studies undertaken on people suffering from alcohol addiction, that nearly all such patients suffer from dysbiosis or disharmony of the digestive microflora – and that includes yeast overgrowths. Junk foods, sodas and baked goods should also be avoided for at least the first 2 weeks of any treatment program and some of them introduced slowly back into the diet. When it comes to junk food and particularly sodas, then the preference is for them to be eliminated permanently from the menu. There has long since been the knowledge that trichosporon and Candida are connected. This is however somewhat unsurprising since both are commensal yeasts which are opportunistic. This means that often trichosporon will exist concurrently with a Candida infection or it may appear when a patient has a history of Candida. Can Cranberry Help Against Yeast Infections? Preventing trichosporon infections relies heavily on raising awareness of what both causes and what contributes to the condition. It is certain that people already suffering from illnesses are vulnerable to this opportunistic fungi both from the viewpoints of a compromised immune system, taking contemporary drugs, or possibly having invasive medical procedures which will introduce the organism to the body. In some cases it will be a mixture of all 3. However modern lifestyles also contribute strongly to disturbing the balance of the digestive flora and it is essential to our general health and well being that we avoid this situation as much as we are able. If we appreciate the issues which may contribute to a trichosporon infection, although we may not always be able to totally avoid the situation, we will at least be able not only to minimize the impact but also to recognize possible problems when they arise.